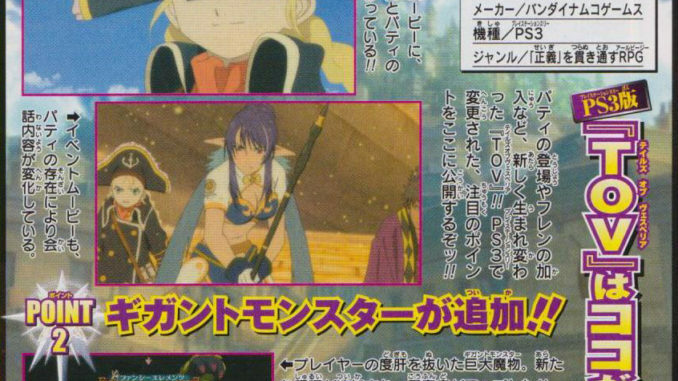 Three new scans from Weekly Shonen Jump have surfaced, revealing more info for Tales of Vesperia PS3, Tales of VS. (PSP) and Tales of Graces (Wii). 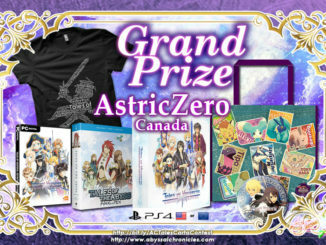 The release date for ToV PS3 has been confirmed to be on September 17, 2009, with a retail price of 7,800 Yen (around $79.50). 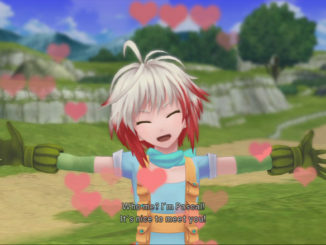 New features for the PS3 version include redone anime scenes which incorporate Patty. The scan states that both the opening and event FMVs will be redone to show her in them. The scan also talks about a new Giganto monster for the players to fight. Sophie (?? ?, sofi) - ToG's heroine. - Sophie is a young girl Asbel meets. She has lost her memories and has no recollection of her past. 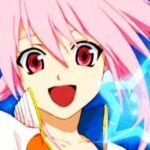 Her name "Sophie" was given to her by Asbel himself. Now, I know this comes as quite a shock to some of us, since a lot of us were already set on the idea that this girl is the heroine. Only a few expected the "purple-haired loli", as some dub her, to be the heroine. Before you doubt that Sophie is the heroine though, the scan itself says "ToG's heroine comes to light!". Hard to argue with that. 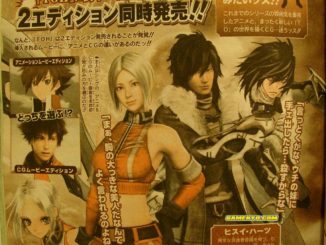 Scans courtesy of Kouli and PSPHyper.